Thinly-populated Mongolia, sandwiched between Russia and China, is trying to ease its economic dependence on mining after a collapse in commodity prices sent its economy into a tailspin last year. But President Khaltmaa Battulga said at a forum on food security in Ulaanbaatar on Tuesday that Mongolia was not doing enough to protect agribusinesses, and should raise import taxes and provide more credit to the sector. “Mongolian food producers use only 30 percent of their capacity, and the government doesn’t move its fingertips to support them,” he said. 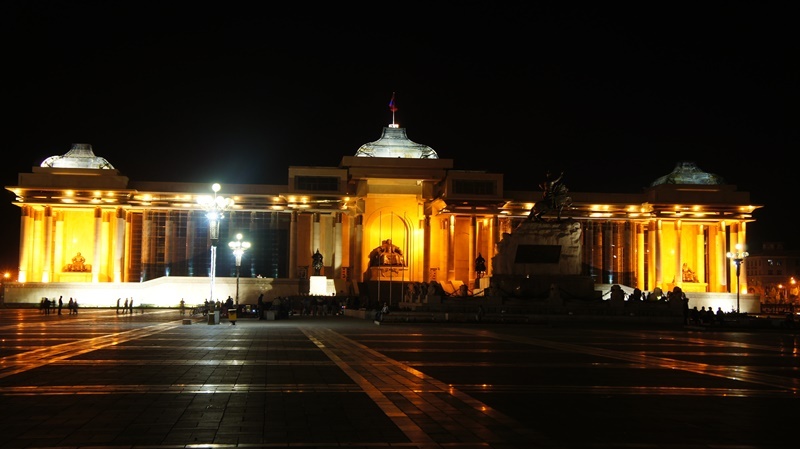 Under Mongolia’s parliamentary system, the prime minister is the head of the government while the president can veto legislation and propose his own policies. Battulga, a populist businessman elected in June, owns stakes in Mongolian food processors Mahimpecs and Talkh Chhikher. Battulga went on to say that only 1 percent of Mongolian land is used for farming, but if favorable policies pushed that to around 3 percent, the country could become an exporter of healthy, organic wheat or potatoes. He said Russia and China both levied high rates of tax on food imports, leaving Mongolia at a disadvantage, and local producers have also struggled to get loans. Mongolia, traditionally a pastoral economy, has potential meat surpluses, with a population of 3.1 million people and over 70 million heads of livestock. Beef imports into China are expected to increase as wealthier urban Chinese purchase more meat, with the country’s own herds likely to be limited by land and water constraints. However, Battulga said Mongolia exported only 4 tonnes of beef to China in 2016 and has done nothing to address problems raised by China about the prevention of livestock diseases. Gombo Nyamjargal, assistant representative of the U.N. Food and Agriculture Organization in Mongolia, said the country’s meat export business has been held back by animal health issues and hygiene requirements, as well as a lack of trade agreements. The International Monetary Fund (IMF) pushed Mongolia to diversify its resource-based economy as part of a $5.5 billion rescue package agreed earlier this year. Agriculture accounted for 11.7 percent of Mongolia’s total gross domestic product in 2016, second only to the mining sector’s 20 percent. However, agriculture is vulnerable to desertification as well as long freezing winters known locally as dzuds.